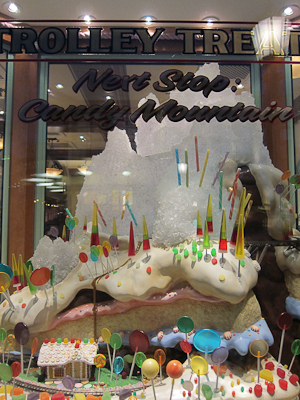 There’s a hidden Mickey in the Big Rock Candy Mountain.If you go inside the store, stand at the left corner of the display and look between the rungs of a ladder on the mountain you can see a very small Abominable Snowman with a Mickey hat inside the mountain. 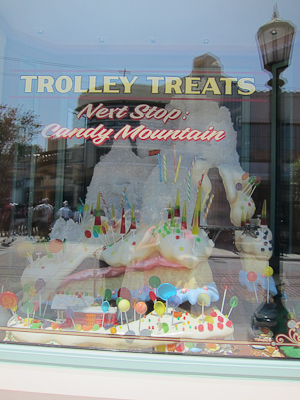 Also, the Big Rock Candy Mountain was one of the original attractions planned for Fantasyland where the Storyland Boats are today. 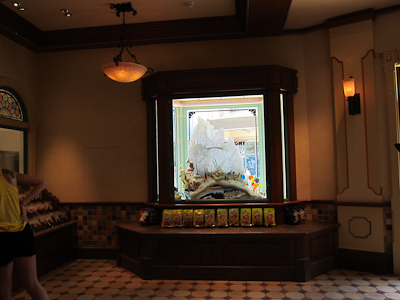 Ultimately Walt felt that a large mountain of candy would be off putting. 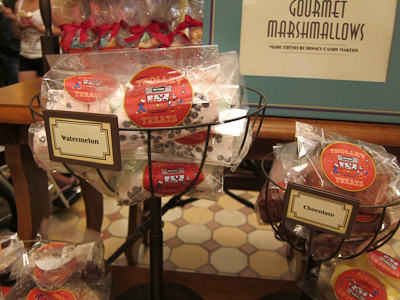 One of my favorite candy experiences at Disneyland was always the old fashioned candy sticks that come in what seemed like 100 different flavors but it was probably more like about 15 or 20 flavors. 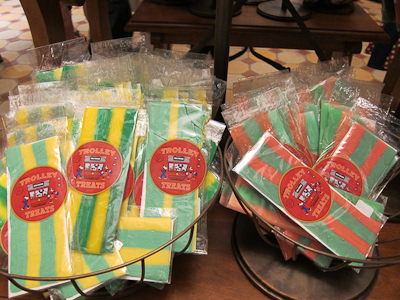 The sticks were wrapped individually and kept in many glass candy jars. I remember them being a nickel each. Being brought in to the park and not made on site, I don’t imagine that they cost much more than that ( I am guessing 25 cents now.) I have not shopped or even looked for candy sticks in years. 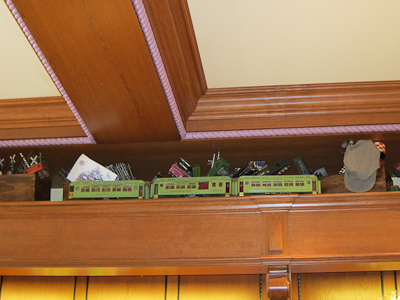 Does Disneyland Or California Adventure sell them anywhere? I also remember Astro Pops, which were multi colored cone shaped lollypop candies that sold for a quarter. I do remember the candy sticks, but I haven’t seen them in years. They still make Astro Pops, but I haven’t seen those on sale at Disneyland in while either. Congrats on your MFA! 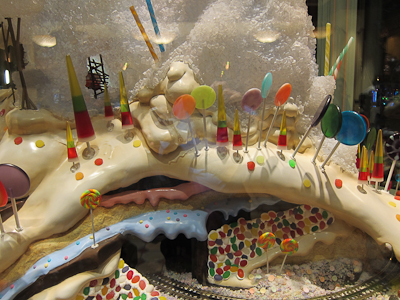 And great photos of the candy mountain! I love it but my photos just don’t do it justice like yours! Thank you! The photos were particularly hard to take because of the window glare! Seeing that candy mountain as a child would have totally blown my mind! In 3rd grade I used to obsessively draw the ice cream hills and chocolate cliffs in the old Dairy Queen commercial. You know the one. What is it about landscapes made of SUGAR?? It doesn’t get better than sugar. Sign.Me.Up. 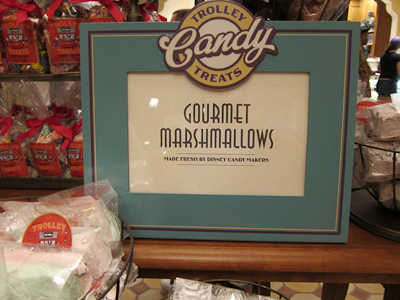 My kids are going to be beside themselves when we visit this candy store on our next trip. I adore the candy mountain! I can’t wait to see it in person. 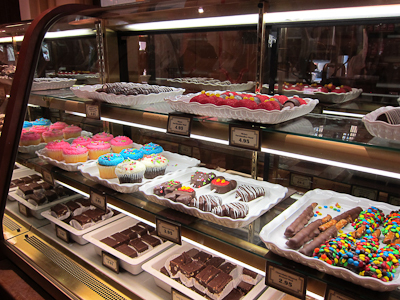 Since the mountain part isn’t made of actual candy, it’s not quite as cool, but the store is totally fabulous.